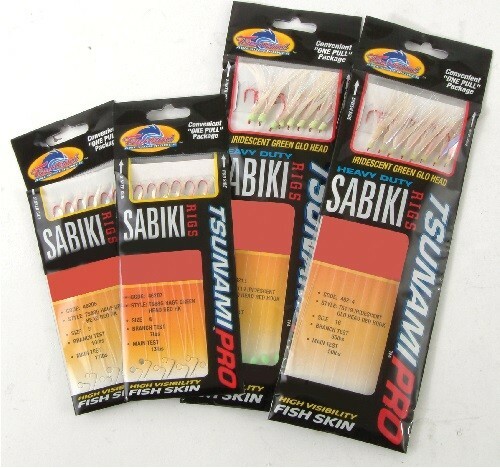 The Tsunami Pro Sabiki rigs are very well tied and are dressed with high visibility fish skin and hage red head. FREE Delivery on all Tsunami Attractor Rigs over £100!! !